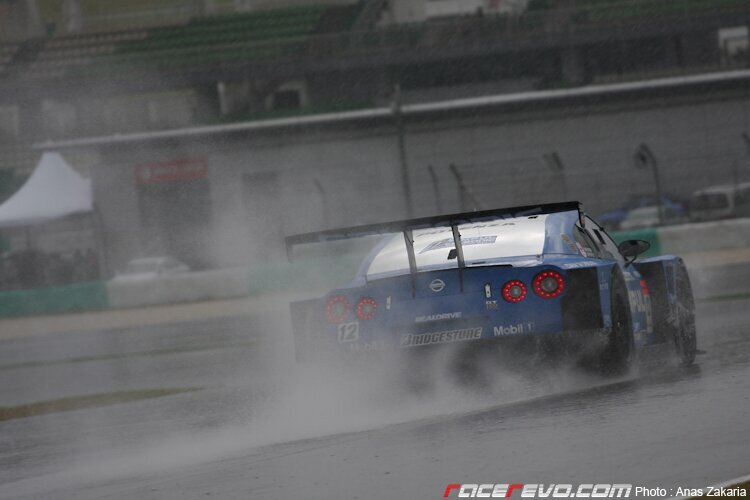 Just 15 minutes into the Saturday Practice Session, the heavens opened up to greet the drivers and soon after, it rained heavily. 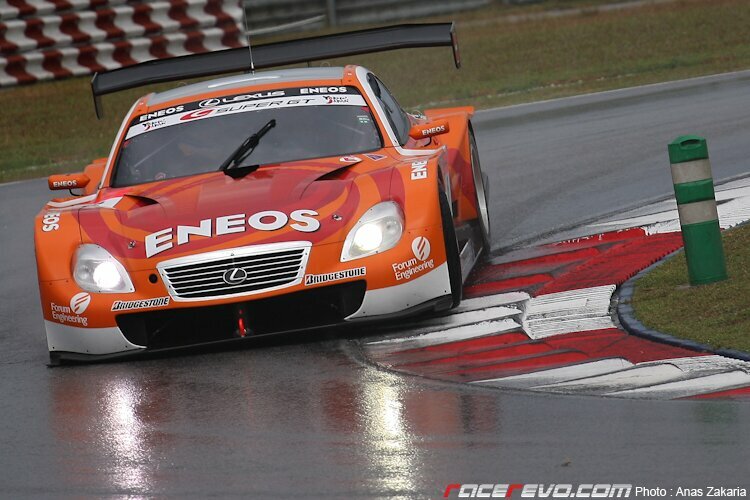 Because all of the cars were still on slick tyres, they have to tip toe around the track to make it back to the pit. The typical monsoon weather made it impossible to drive, so i can hardly imagine what the drivers are seeing through their window in this condition. How bad was the weather? 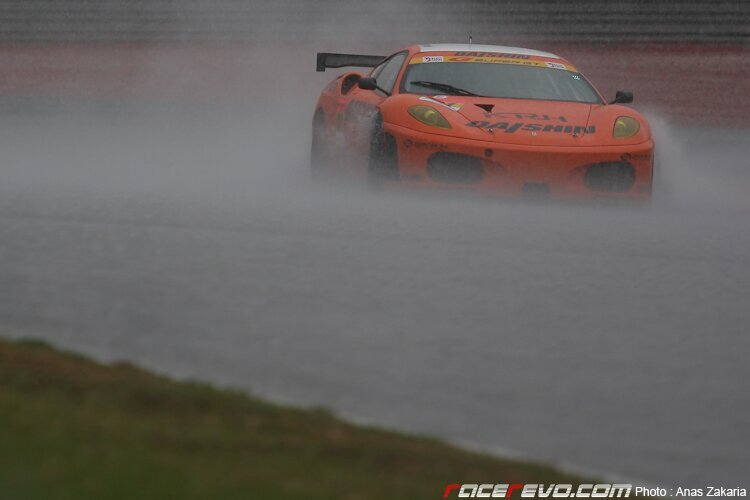 The sight of the DAISHIN ADVAN Ferrari (above) trying to nurse it back to the pit tells it all! 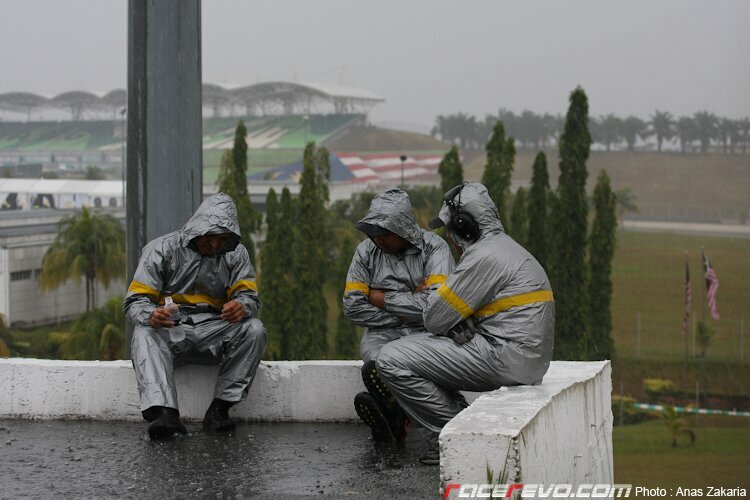 30 minutes passed away without any activity on the track, so while waiting for the weather to improve, these marshals took the opportunity to chill out a bit. The rain didn’t seem to bother them at all. Although the weather hardly improves, some of the cars were back out on the track again to do some tyre evaluation and wet weather setup for the race. The teams took nothing for granted, because the unpredictable weather could determine the outcome of the race so it is crucial to gather as much data as possible. 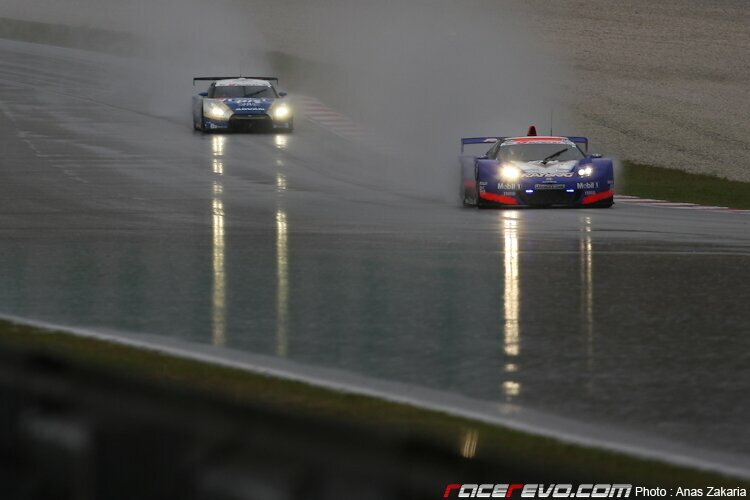 The sights of the cars blazing through in the rain is a sight to behold. Especially through the mid corner, when the back end steps out each time the throttle was applied and the drivers countered it with breathtaking precision and control. Yet they were right on the limit, it looked as if at any moment they’re going to lose it! 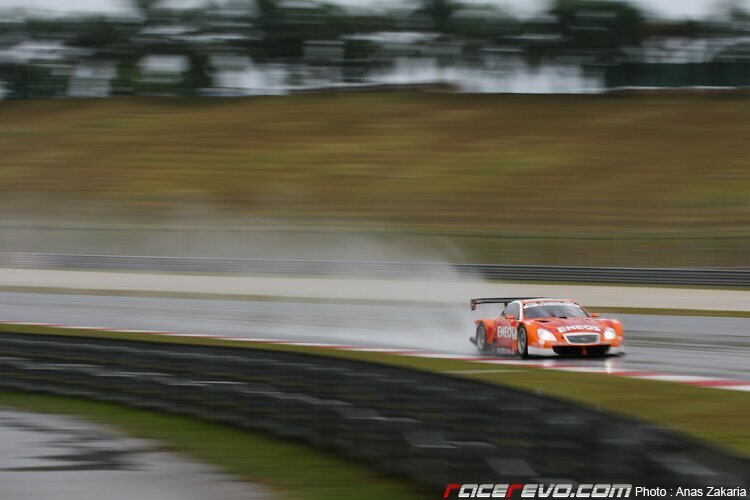 After 1 hour into the session, the weather started to improve. More and more cars took to the track and by the end of the session, finally the sun was out and some dry lines started to appear on the track. 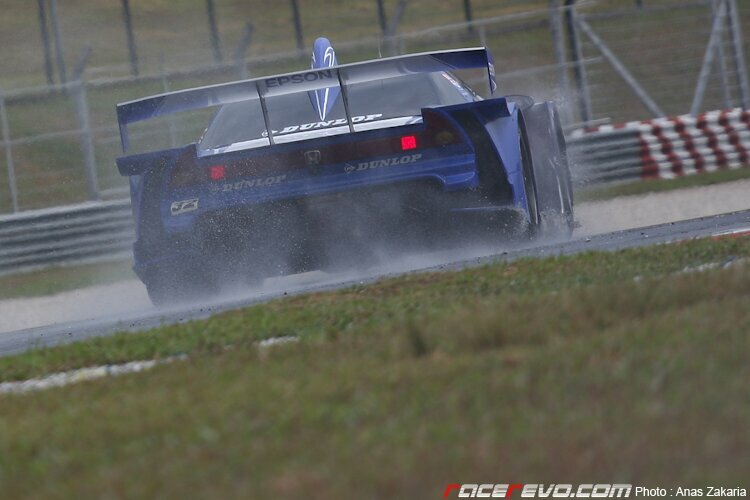 In the GT500 class, the EPSON NSX (below) driven by Loic Duval and Yuki Nakayama set the fastest time with a 2:04.677 lap. 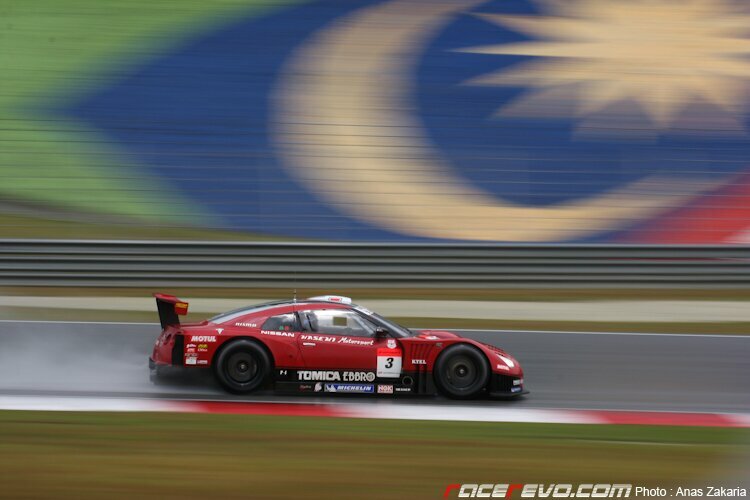 S-Road MOLA Z driver pairings of Kazuki Hoshino and Masataka Yanagida set the fastest time for the GT300 class with a time of 2:24.907.